Hey, What’s Your WiFi Password? The effects of all this new and emerging technology we see in the 21st century on children are complicated, with both costs and benefits. Most of the research out there suggests we can’t prevent kids from being exposed to technology, but it seems like we should monitor their usage of certain types. The environment children are in; determines what kind of attention they develop. In the past, for example, children were encouraged to read, an activity that offered few distractions and required intense and sustained attention, imagination, and memory. Slowly reading was forgotten about as television was introduced. 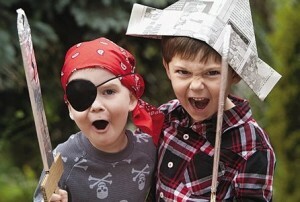 This altered that attention by offering children visual stimuli, fragmented attention, and little need for imagination. Then the Internet was invented and children were thrust into a vastly different environment in which distractions are normal, imagination is unnecessary and memory often goes unused. However, research also suggests video games and other screen media improve visual-spatial capabilities, increase attentional ability, reaction times, and the capacity to identify details among clutter. Also, rather than making children stupid, it may just be making them different. For example, the use of Internet search engines is causing children to become less adept at remembering things and more skilled at remembering where to find things. So it’s not all bad right? Given the ease with which information can be found these days, it only stands to reason that knowing where to look is becoming more important for children than actually knowing something. But when you look at the facts, the impact of rapidly advancing technology on the developing child has seen an increase of physical, psychological and behaviour disorders that the health and education systems are just beginning to detect, much less understand. Not to mention the rising problem of child obesity and diabetes, which have been causally related to technology overuse. Diagnoses of ADHD, autism, coordination disorder, developmental delays, unintelligible speech, learning difficulties, sensory processing disorder, anxiety, depression, and sleep disorders are associated with technology overuse, and are on the increase. While no one can argue the benefits of advanced technology in today’s world, connection to these devices may have resulted in a disconnection in families. 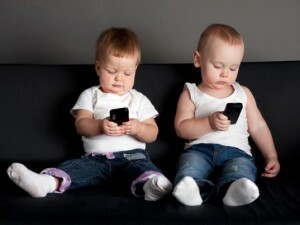 Rather than hugging, playing, and conversing with children, parents are increasingly resorting to providing their children with more TV, video games, and the latest iPads and phones. It’s important not to let technology come in the way of your life as a family unit, or in the way of your child’s development. 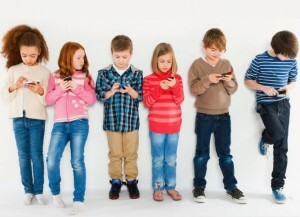 Even if you use technology all day everyday as part of your job, make sure you are able to balance your kid’s technology usage with the four critical factors necessary to achieve healthy child development: movement, touch, exposure to nature, and most importantly human connection.